Surreal aims to create and maintain the most supportive, creative and unique environment possible. We will be inclusive of member opinions, build useful tools, and always develop the community with the best interests of our members in mind. We will support a smaller community, and encourage friendship and inclusiveness, but most of all, we will have fun. Surreal started as just an idea in April of 2010. Downfall - Surreal's Founder was in a skilling clan called Skillers Empire, and had a desire to improve upon their vision, and start a clan that lived up to or even exceeded such high standards. 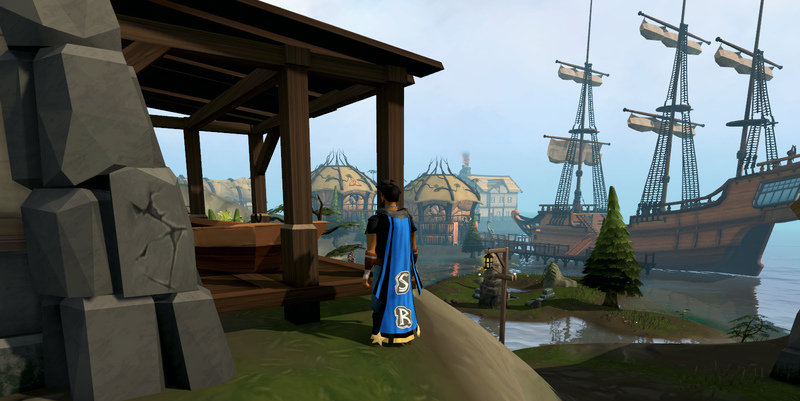 Today, it is a shining example of what a RuneScape clan should be, thanks to its wonderful members. We launched in October of 2010, and splashed onto the clan scene after attracting front-page attention on Zybez.net - a popular RuneScape fansite at the time. We didn't simply rest on our laurels with our new-found attention - we doubled down. Surreal quickly developed and established itself as one of the best RuneScape clans around, and we stayed true to that reputation. Surreal has welcomed over a thousand members from around the globe, hosted thousands of unique events and competitions, and gained billions of XP in-game. All while we built a supportive, fun community! Throughout the years, we have been fortunate enough to share time with some of the best players around - and have fun in the process! What once was just an online forum is now a nearly decade old clan with systems in place to automate much of the clan's operation which has allowed Surreal to focus more on its members. We are fundamentally driven by fun, and we believe that fun and friendships are key to longevity of a game, as well as enjoyment when you just want to wind down. Surreal provides this, for free, always.